Pat runs a Girl Guides of Canada unit in a penitentiary. She shares some thoughts about the unique issues that arise for the girls and young women in her unit. This is an important blog post to share during the 16 Days to Eliminate Violence against Women and every day. It will open your eyes, and hopefully your heart, and possibly change your own perceptions about violence. Like most units, we do challenges with our girls. We encourage service projects, like gardening in the summer to provide food to an agency that the girls are familiar with. We also create and send Remembrance Day cards to Vets, and participate in a Christmas project where we give gifts to single mums attending school –an easy buy-in as most of the girls in the unit come from single parent families. Like most girls, self-respect is important for my unit and we do the Dove self-esteem challenge. The booklet is a wonderful resource for the girls, especially since they are able to keep the book with them. However, when doing this exercise in our unit, it becomes very personal for our girls who may choose not to join the discussion. We must respect that and allow them to decide when they are able to speak up about what has happened to them. Respect is always tough for our unit, but we eventually get positive feedback when we work on it. It’s important to let the girls know that each of them is an important person, to show respect for each other and to love and respect themselves first, regardless of what others say or do. I’ve found that a great way to start a discussion is for us to consider “the consequences of our actions.” Regardless of the crime, there is always a consequence, and so it’s important to ask “have you thought of who you impacted”? This can be the victim, or your own parents, grandparents, friends or siblings. My girls must realize in most situations that they are not the victim, but were created a victim by their actions. I personally faced a suicide and cleaning up the aftermath. It took its toll on me, but I found my healing by discussing the suicide with the girls. This was a “consequences of actions” night only 2 1/2 hours later that same day, with many tears from the girls and my own, but we had a wonderful discussion. I explained to the girls if my friend had realized what the consequences of his suicide would be to me, I know he would not have done some of the things he did. Boy, did they open up to me. I still remember at the end of the evening a Native girl hugging and telling me how strong I was and how I had inspired her. (I love that she has not re-offended and is back with her family and working through some issues.) Some girls shared that they had considered suicide but realized life would get better despite the fact that they had lost their own friends and family to suicide. We never know what will trigger a change in someone, so in the GGC program we reinforce what their ‘official’ counselors tell them but they do not want to hear. I believe that as volunteers we achieve the results! 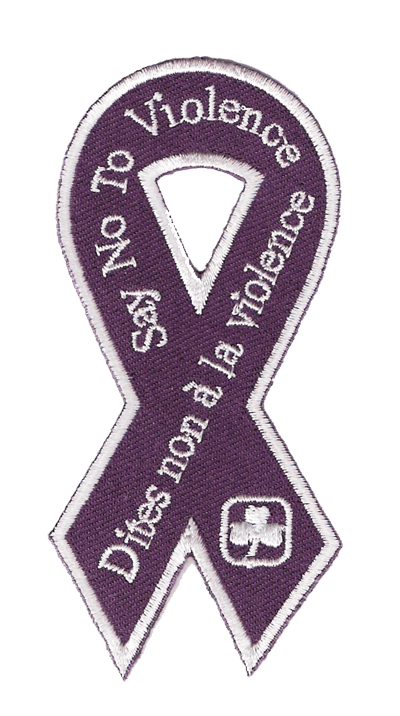 Learn more about stopping violence against women by adding your comments to the World Association of Girl Guides and Girl Scouts webpage Bust the Myths. This entry was posted in Girls' Guides and tagged female role model, self esteem, violence. Bookmark the permalink. I have so much respect for the work that you do. Next time I am struggling with my girls, who live in a beautiful town, have the freedom to walk anywhere and do anything and whose attitudes can sometimes drive me a little crazy, I’m going to remember your hard work to bring some normalcy and healing to these young ladies. Thank for everything you do. Wow this entry gave me goosebumps. I think it’s an amazing thing you are doing Pat and please keep it up! Wow! What a powerful piece. Many Blessings to you Pat and to the girls and young woman who benefit from your guidance. Im the leader for our 9th unit brownies in west vancouver and was hoping that you may need/want me as a volunteer within your program. Please feel free to email or call me with further information. That was extremely touching and inspiring.